The value of residential mortgage servicing rights (MSRs) rose in July due to an increase in rates and lower expectations with respect to prepays, according to MountainView Financial Solutions. During a recent webinar giving the monthly snapshot of MSR performance in July, Mike Riley, Managing Director, Analytics at Mountainview said that an increase of 9-10 basis points in rates had led to an impact on mortgages especially in terms of value change attribution. The webinar gave insights on managing, valuing, acquiring and selling residential MSRs and discussed the interest rate environment, MSR risk management, MSR pricing levels and MSR market activity in July. Speaking on the pricing of MSRs, Mark Garland, Managing Director, Analytics, MountainView Financial Solutions said that the company was seeing a strong impact by state on new product pricing in relation to escrows. “We are seeing different levels of interest on escrows, different incidents of loans escrowed versus those waived, and a difference in escrow cushions across states,” Garland said. Depending upon projected balances by mortgage bankers who account for escrow custodial float, float rates, and interest on escrow rates, the impact on MSR values relative to escrows was between seven and 17 basis points in July. Speaking on the correlation between prepayment speeds and low FICO products Garland said that MountainView found that the prepayment times for low-FICO conventional and low-FICO government products were similar. When looking at the conventional mortgage products with primary rates between 4.25 percent and 4.49 percent, the study found that in July, prepayments for FICO scores ranging between 660-679, 680-710, and more than 720 were about the same at a little over 10 percent. When the rates rose slightly to 4.5 percent and 4.74 percent, the prepayment speed for FICO scores in the range of 660 and 679 rose to around 14 percent. However, the prepayment speeds for mortgages with FICO scores ranging between 680 and 710, and more than 720 remained at a little over 12 percent. The study found a similar correlation between FICO scores and prepayment of government mortgage loans. 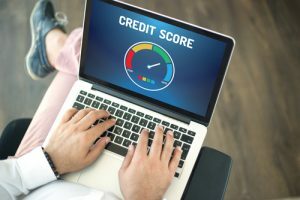 At a mortgage rate of 4 percent and 4.24 percent, it revealed that prepayment speeds of borrowers with FICO scores ranging between 620 and 639, and 640 and 659 were a little over 14 percent. For borrowers with scores of 660-679 and 680-710, the prepayment speed was a little over 12 percent. However, when mortgage rates increased to between 4.25 percent and 4.49 percent, the prepayment speed for borrowers with scores of 620-639, 640-659, and 660-679 were uniform at a little over 16 percent. However, the prepayment speed for those with scores in the range of 680-710 remained at 14 percent.